Kitchen! Kitchen! : A tribute to Linda O's. leg of lamb......for kitchen! kitchen! ...a road trip to Maine..
A tribute to Linda O's. leg of lamb......for kitchen! kitchen! ...a road trip to Maine..
Massachusetts. Not too shabby huh!? with salt and pepper and Linda's secret seasoning. 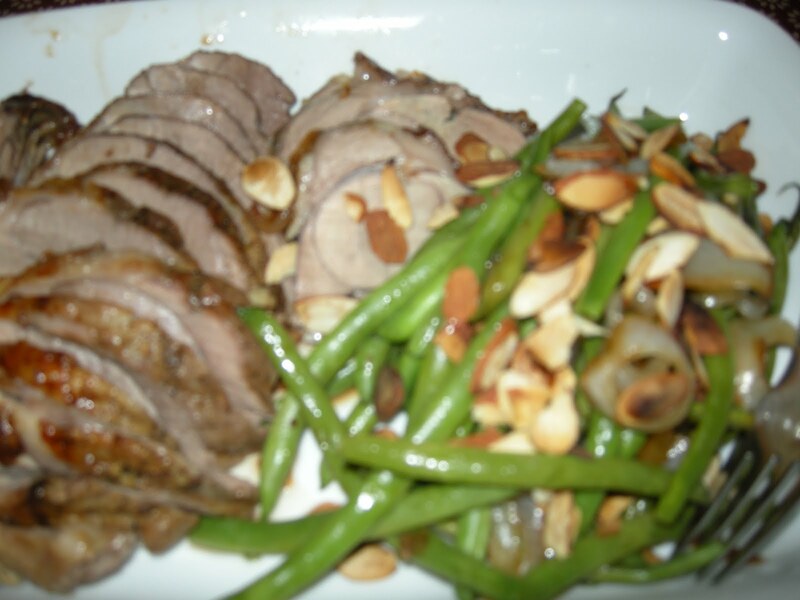 served with sauteed string beans and toasted almonds. Lamb sandwiches for lunch the next day was a MUST! I have to asked, do we I deserve all this????...... YES! That's the way we like it.....uh-huh, uh-huh!